Normally my go-to place for surfing is San Juan, La Union, a town about six hours north of Manila, but I wish I had discovered Baler, Aurora a long time ago as an alternate surfing spot. 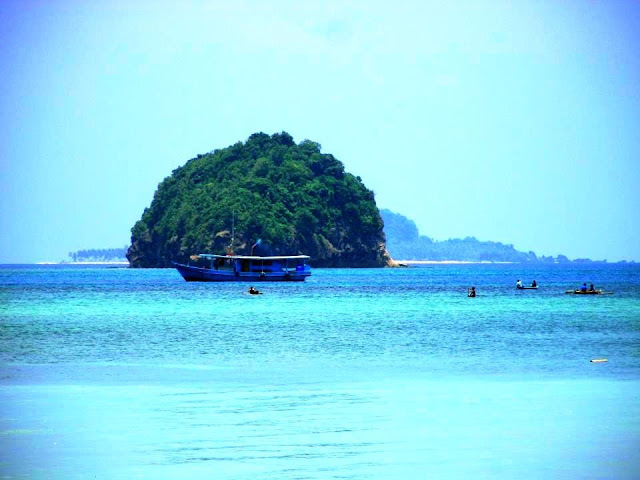 I immediately fell for the place as soon as we arrived in our beachfront hotel early in the morning, just off from a 5-hour bus ride from Manila. 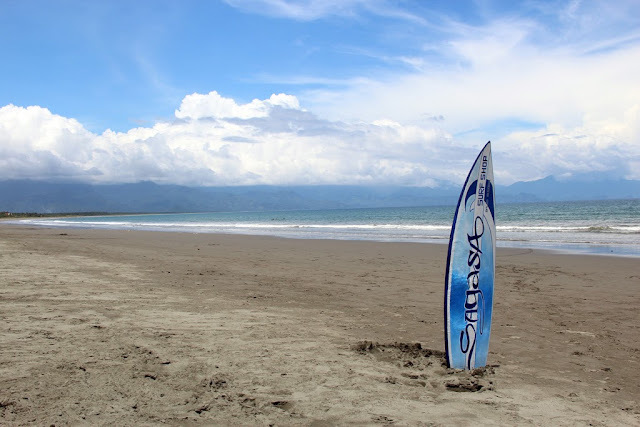 Baler is located northeast of Manila, facing the Philippine Sea and the Pacific Ocean. 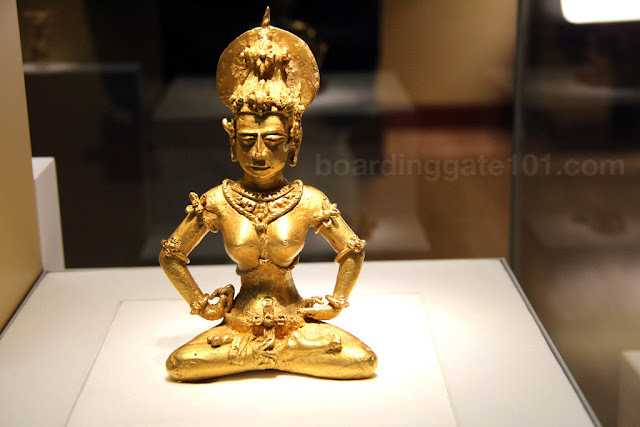 It is basically on the opposite of San Juan, which faces the West Philippine Sea, although the surfing season for both is similar, from September to February. Baler became a popular destination for surfers recently, after which it was voted as a top beach destination and surf spot in various publications. I went to Baler with my friends from the university - Sigrid, Randy, Aroma and James - the same group that I usually go with in weekend jaunts and adventure, like in Coron, San Juan, Cagayan de Oro, and even Bangkok. We did not surf right away, as we reserved Saturday for exploring the rest of the town first (will blog about those in the next posts). All of Sunday (and maybe Monday if we weren't too tired) were devoted to my favorite beach activity. 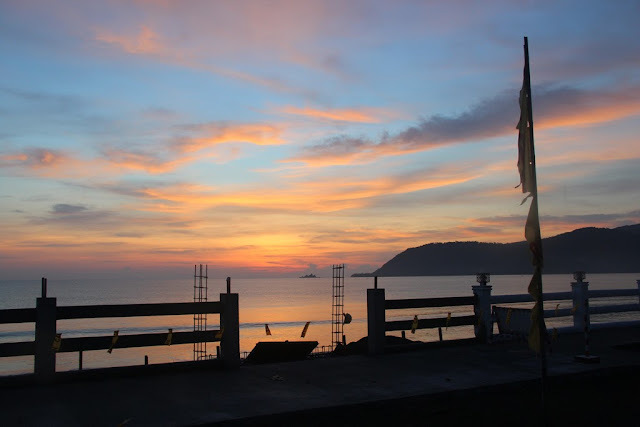 Our hotel, the Bayler View Hotel, is just in front of Sabang Beach, the main surf spot of the town. 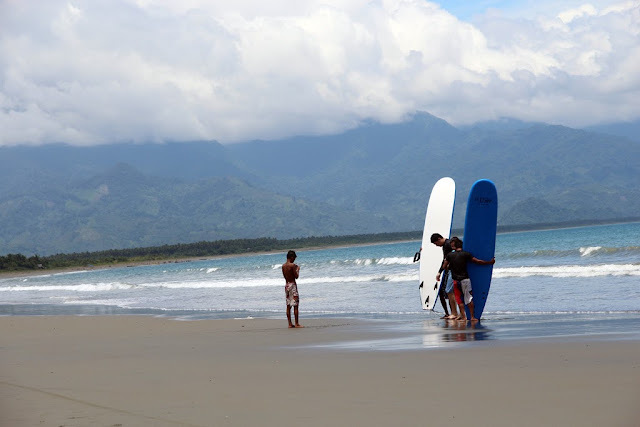 Sabang is wide and long, with brown sand accentuated by the aquamarine waters of Baler Bay. Separating the beach from the line of hotels is a boardwalk, still being built but done in some places. Below the boardwalk are a multitude of whimsically-named surfing schools, like Sagasa and Dehins. 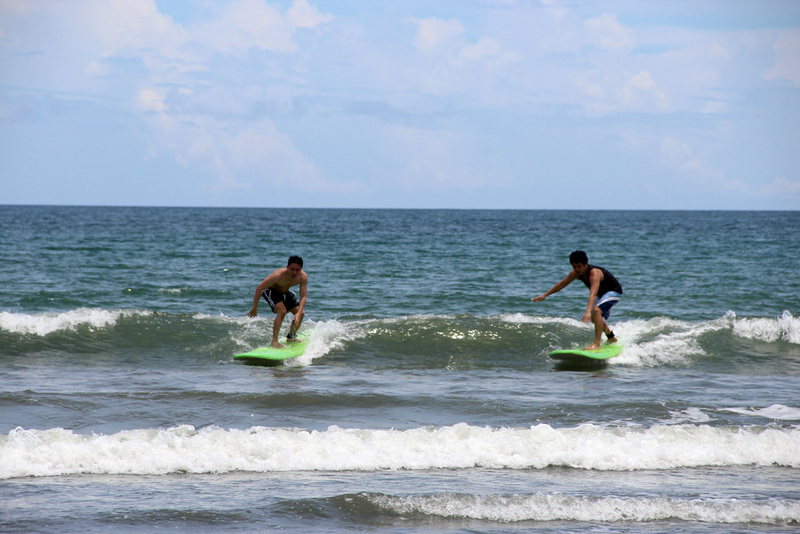 They provide surfing instructions, and also rent out surfboards, paddle boards and kayaks. Right after breakfast we set out to the beach and went to Sagasa booth to get the surfboards and suit up to face the waves. It's still early in the season so the waves are not that big. 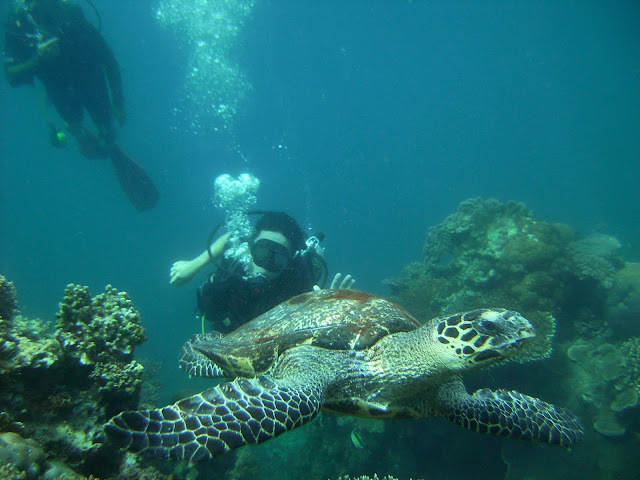 They are enough to get you a decent long ride to the shore or wallop you to the surf if you fail to balance. We surfed for about an hour in the morning and then we took a breather when the sun was high up to get some food and siesta. After a sumptuous lunch of shrimps cooked in crab fat and fern salad, we headed back to our room to nap. We went back to the beach after getting some rest and continued surfing. I surfed until my torso became raw from the friction on the board, then finally headed back just before it got dark. 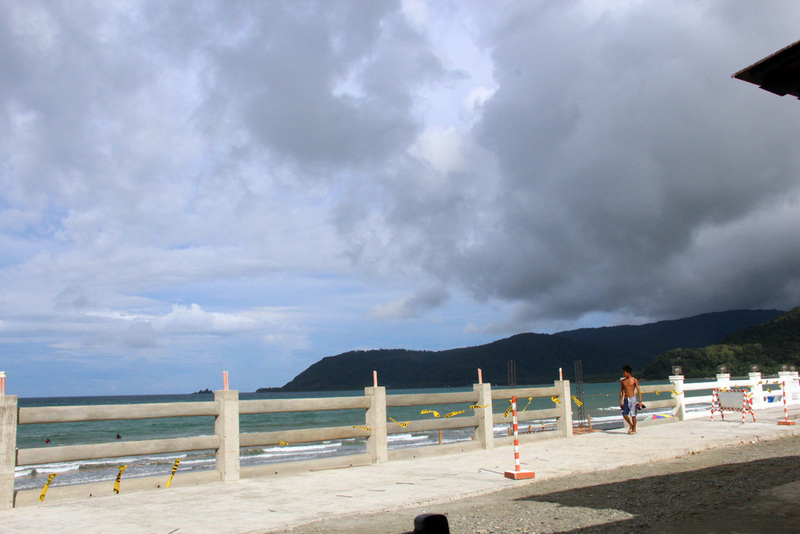 Baler is accessible by bus from Manila. Take the Genesis bus from Cubao/New York St. Station; the executive coach leaves at 12:30am and arrives in Baler five hours later. Fare is PhP 700 one way. From Baler bus station, take a tricycle to Sabang beach (you may call Anthony, the one we hired for the day, at 0930.479.8828). There are several hotels along the beach where you can stay. We stayed in Bayler View Hotel (PhP 2500/night for 3 persons). 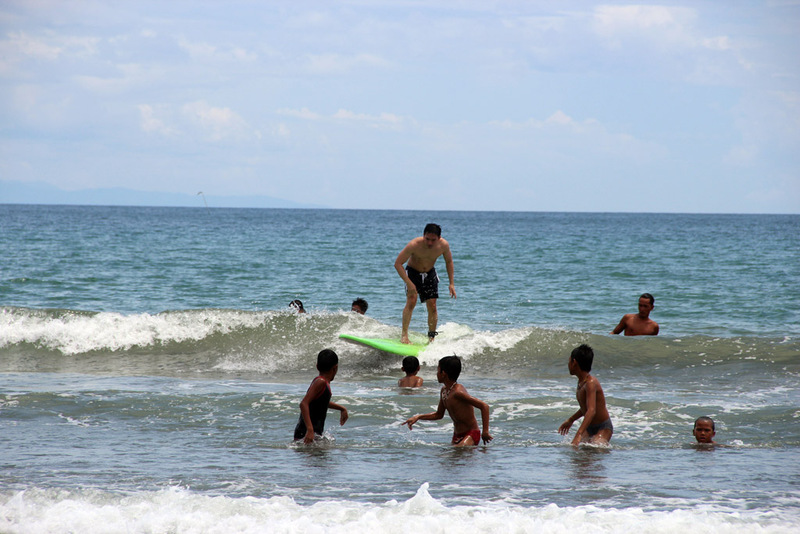 Surfing instructors can be hired for PhP300-350 an hour, including surfboard rental. 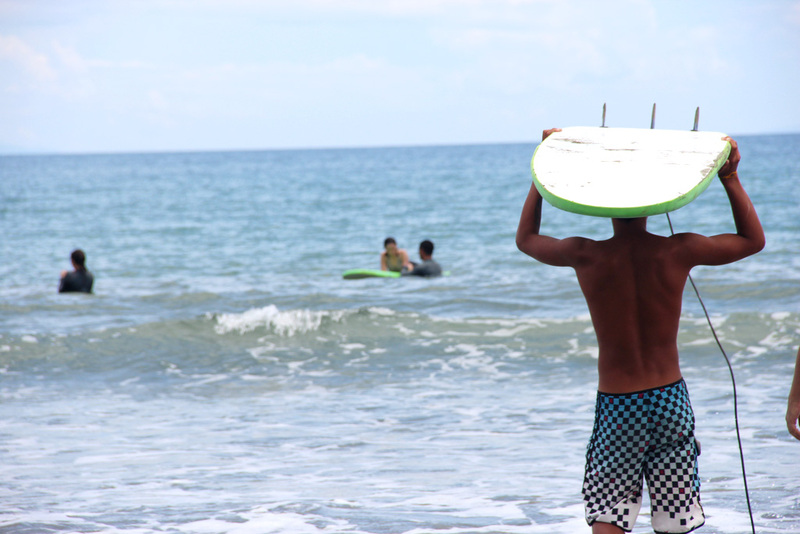 Just surfboard rental costs PhP200/hour. I havent tried surfing. Do i need to be a good swimmer before i can learn surfing? 5 hours lang trip niyo?! Ba't ang bilis? 8 kaya last kong punta dyan at wala pang mga stopover yung except for one meal. I don't really like the boardwalk in Sabang beach. I liked it better before. Your beach photos look great. Glad you caught some waves. Will be there june 5 is it still ok to surf during this month? Kin , hi will be there on june 5..is it still ok to surf during this month? hi! the best months are between October and March but I think you can still get some decent waves in June.